Those EA executives sure shared a lot during their recent financial call. In addition to news of Battlefield V failing to meet sales expectations, the publisher looked ahead to 2019, and we now know a little more about its plans for the not-so-distant future. As well as the usual slate of yearly sports titles, the publisher has said it'll be releasing new games in its Need for Speed and Plants vs. Zombies franchises. "Looking forward, we’re delighted to launch Anthem, our new IP, to grow Apex Legends and related Titanfall experiences, to deliver new Plants vs. Zombies and Need for Speed titles, and to add Star Wars Jedi: Fallen Order to our sports titles in the fall," said COO and CFO Blake Jorgensen. It's the first official word we've heard about either of these series for quite some time. Last year, Plants vs. Zombies: Garden Warfare 3 was seemingly leaked via an Amazon product listing, so that lines up nicely. 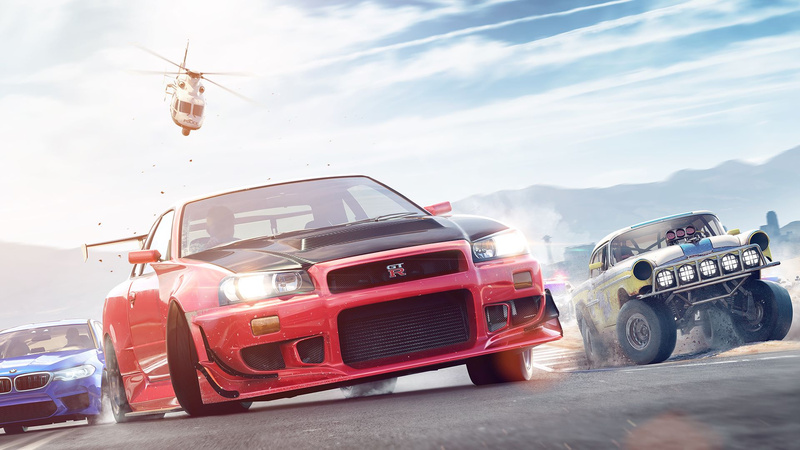 We've no idea what EA plans to do with Need for Speed, which has been through various reinventions, nearly all of them disappointing. Also interesting is the comment regarding Titanfall. Respawn's CEO Vince Zampella also confirmed the studio is working on some kind of content related to its mech shooter series. Are you excited for new Need for Speed and Plants vs. Zombies games? Start your engines in the comments below. "and to add Star Wars Jedi: Fallen Order to our sports titles in the fall,"
WAIT Jedi Fallen Oder is a sports game? @FullbringIchigo imagine it being a pod racing game. Great news, will likely be getting both. I'm always a sucker for NFS games and my kids still play PVZGW2 to this day so if it's a new one that will be day one as well! Poor Popcap. Another company destroyed by EA. I agree. It turns out that EA is like a cancer to video games industry. They buy small companies and then they close them. Definitely interested in a new NFS. Hopefully a new developer assembling the pieces and parts because I haven't really enjoyed Ghost Games offerings. I REALLY hope it’s garden warfare 3. The second one was freaking awesome for young kids and older more casual players. There was so much going on in that game I loved it. I was excited when they first showed the last Need for Speed game, but lost all interest when the various microtransactions were revealed, which made the game sound like a repetitive chore if you don't pay for extras. As it's EA, I don't expect the new one to be any better. Can we go back to Mirror's Edge, please? The original one. Thanks. The Garden Warfare series is one of the extremely rare EA multiplayer things I enjoy. My son will be buzzing about news of PvZ3!! I used to buy no end of EA stuff... they had such a varied catalogue. I've bought FIFA 18 and 19 as I'm a footy fan (I don't touch FUT at all), but other than that, Battlefield 4 is my only EA purchase of the PS4 era. Same with Activision... haven't had a game from them since [PROTOTYPE] on PS3, and that was a gift. Last one I bought myself was the original Modern Warfare on PS3. Great news, Plants vs. Zombies Is my favourite shooter series and there are not enough arcade racers.